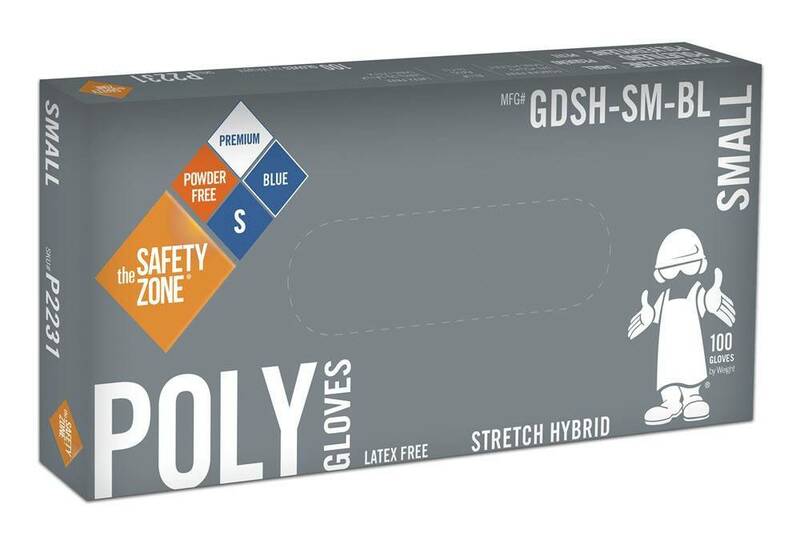 Safety Zone Micro-Textured Stretch Blue Vinyl Powder Free Gloves. 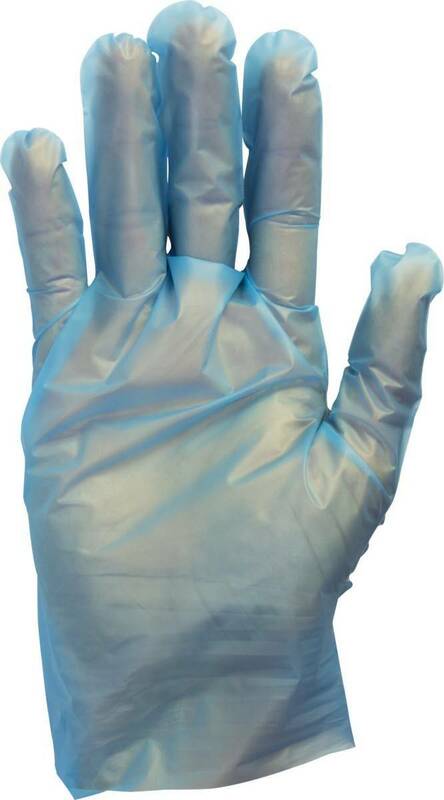 Co-polymer polyethylene material. Ambidextrous fit.